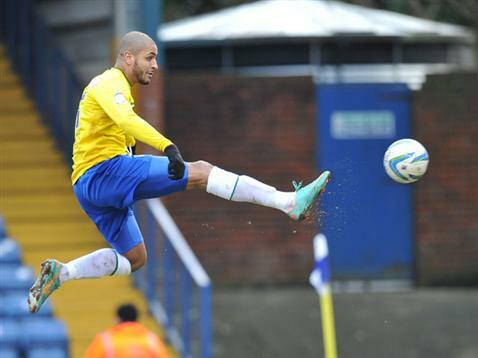 Leon Clarke: Ready for pre-season. Coventry City striker Leon Clarke says he will be ready for the start of pre-season training after overcoming the injury which ruled him out of the final part of the 2012/2013 season. Clarke found the net 21 times in 2012/2013 for both the Sky Blues and relegated Scunthorpe United, was bought to the Ricoh Arena by Mark Robins as David McGoldrick’s replacement but Clarke reluctantly decided to cut his season short in March to undergo an operation to remedy a painful ankle problem. The 28-year-old called the decision one of the toughest he has had to make considering he was enjoying some of the best form of his career in front of goal. He insisted though that the decision, taken in agreement with manager Steven Pressley and the club’s medical staff, was the right one to ensure he was in peak condition for the start of 2013/14. “I was really enjoying my football last season so it was just disappointing to have to end it so early but the pain was at a point where it was unbearable,” he said. Clarke began unassisted running this week and said that it was a big step towards his goal of getting his pre-season off to a good start. “I’ve been running for the past three weeks on the treadmill but it’s been great to get out on the grass,” he said. “It felt a bit weird at first to be honest because I’ve had to work on my technique so I don’t put so much pressure on one side, trying to compensate for the other but the physio says I’m doing fine and that everything is going to plan. The entire Sky Blues squad report to Ryton for the start of pre-season training on June 28th ahead of their first pre-season fixture away at Nuneaton Town, 24 hours before they fly to Holland for pre-season tour. Clarke added that he has had some welcome company in the gym and on the training pitch in the form of midfielder John Fleck who has been putting in extra work ahead of the new season in the absence of a holiday. Speaking of the pre-season trip to Holland, Clarke added that he was looking forward to the team bonding and change of scenery that an overseas tour would bring. “I’ve been twice before with Sheffield Wednesday and those trips were really beneficial because it was good for team bonding and for fitness and I’m sure this will be the same. “The change of scenery will be good for the mood in team, it’ll help morale and I’m sure the manager will be working us really hard. « ACL: Coventry City can use Ricoh Arena rent free.